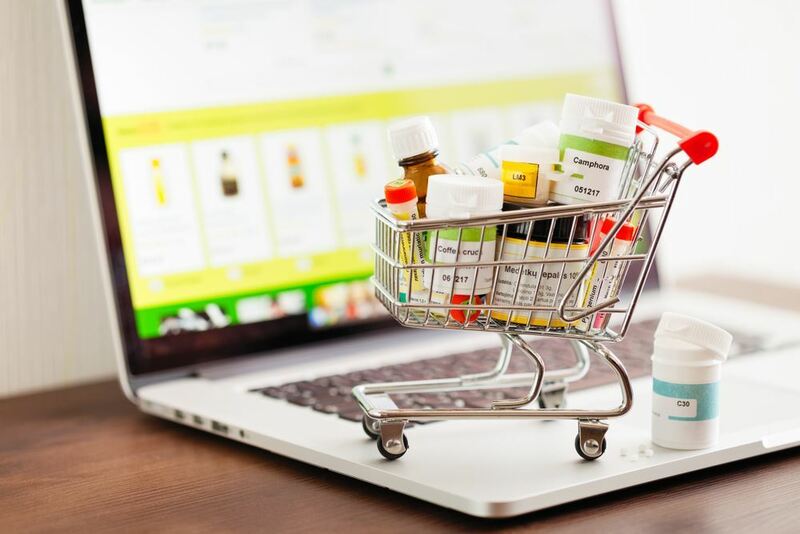 According to healthcare authorities, over 95% of all online pharmacies and drugstore are not legitimate, while drugs they sell may be unsafe to use. Sometimes even most experienced users get caught by rogue online pharmacies as it is extremely difficult indeed to identify a fake organization. Some of unsafe pharmacies are created according to highly sophisticated illegal scheme: in addition to selling fakes they may spread computer malware. If you have ever been tempted to buy medicines online: from a pharmacy site or by any other method, it would be useful for you to know, how to distinguish certified companies working with registered distributors from illegal ones. Purchasing with caution help you protect yourself and your family. You can safely shop online: there are legal company that provide high-quality medications, offer convenient service, and take care of privacy. 1. It allows buying an under-the-counter medication with no prescription or online doctor advice. A reputable pharmacy will ask for a valid prescription every time you shop there. In some cases, online advice is provided by a certified medical specialist, who has the right to sign prescription based on test or examination results. 2. It offers an attractive bargain price. If you find the price too low and have doubts that such a generous offer exists – most likely you are on a fake online pharmacy website, and the product for sale is ineffective or even unsafe for your health. 3. It doesn’t have online consultants with medical education (preferably a U.S. state-licensed pharmacist). Certified pharmacists can provide reliable information about the drug, contraindications to its use, side effects and facts on interaction with other drugs. This information is crucial as it helps people estimate the probable treatment outcomes and avoid dangerous or unwanted effects. Always read the instruction of ask a specialist before making a purchase. 4. It sends suspicious spam mails. If the pharmacy, which website you are visiting, sends weird mails with too attractive promo offers, incorrect information about medications or some innovative drugs you have never heard of before – the chance that it is an illegal online pharmacy is very high. Why it is important to buy from trusted online pharmacy websites? Your health is always a priority. Too low or, on the contrary, too high dosage of the active ingredient that may either cause no effect or show extremely strong side effect. As you may guess, both cases are unwanted. Wrong active ingredients that cause dangerous drug interactions or worsen the general health state. Some additional ingredients that are not tested, certified and, therefore, are not proven to be safe in clinical research. In addition, rogue online pharmacies can never guarantee proper storage conditions: in most cases they have no warehouses equipped with highly technological climate control systems. It leads to decreased efficacy of drugs, even in case their manufacturers provide high quality of the product at the very beginning. Look for the National Association of Boards of Pharmacy’s (NABP) Verified Internet Pharmacy Practice SitesTM Seal, also known as the VIPPS Seal. If you notice it on the site, you can be sure your purchase is safe. It also means that all medications sold there have successfully undergone state licensing. Look for FDA approval – drugs that got this seal have undergone multi-stage clinical tests and are generally safe when taken according to instructions on the package. Look for a specific website address: if it ends with “.pharmacy”, then you are most likely at the reputable pharmacy’s site. Such a domain has high legal requirements to meet, therefore no fake pharmacies can pass verification and authorization to obtain it. Check the country, the pharmacy is located in. It should be in the US and registered there. If you have any doubts in this regard, it is better to check the pharmacy with NABP (if you are from the United States of America). In case you are outside the United States, look for your domestic registry of approved medications from a national healthcare institution. Ask for online consultation to see who you are communicating to. It is important that the pharmacy had a certified pharmacist to provide medical advice to online customers via different communication means: email, phone or via an online web assistant. It is better to find a pharmacy you can trust and to buy all your medications there. This way it is easier to monitor your prescriptions and check them for potentially dangerous drug combinations. Reputable pharmacies always are interested, if you have a prescription and never write “buy with no prescription”. Medications with strong effects require doctor permission to take them. Only a certified healthcare specialist can evaluate all pros and cons of treatment and provide an effective treatment plan. If the pharmacy is reliable, it will not sell unapproved or experimental drugs. All medications provided there should undergo official clinical trials to estimate efficacy and find out possible side effects. If you still have doubts, you may want to visit FDA official website for more information about certificates and process of obtaining them.